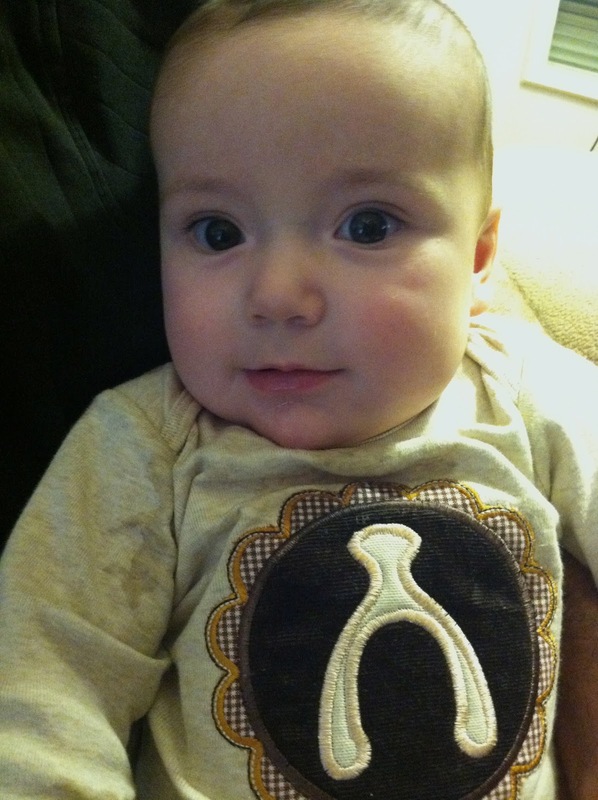 For LL's first Thanksgiving (in 2009), we went to Hiawassee with Aunt Laura, Uncle Gino, and Ben. In 2010, we had Thanksgiving at Gigi and Poppy's house (and Aunt Laura, Uncle Gino, and Ben came down). Last year, we went to Disney World for Thanksgiving! This year, we stayed home and celebrated Thanksgiving at Grammy and Pop's. Gigi and Poppy were in Florida for Thanksgiving, Oma and Opa originally had plans to go to Daytona for Thanksgiving, and Aunt Laura and Uncle Gino were in Hiawassee again. We headed over to Grammy and Pop's very early in the morning (LL spent the night over there the night before), and got started on the turkey! LL was a great helper with stuffing the turkey! Helping Grammy crumble corn bread for the dressing. It was picture time when little man woke up from his nap! Riding the bouncy horse for the first time. Somebody got jealous - haha. Attempting to get a Christmas card pic for Grammy and Pop. I bet you can't guess who didn't want to take pictures! Luckily she was in a little bit better of a mood by the time we did our family pics! I think this one is my fav!